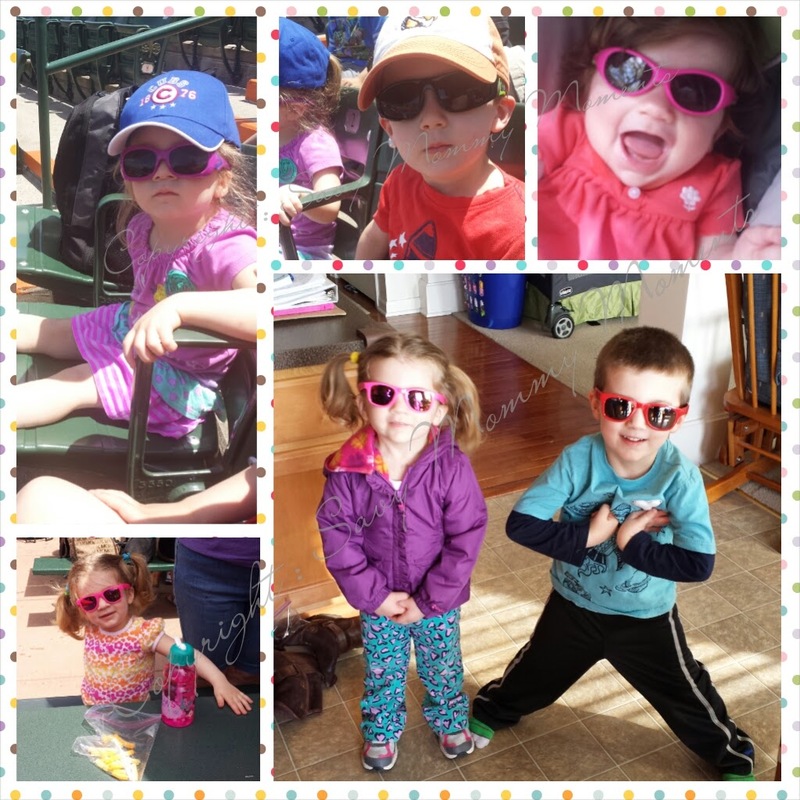 Savy Baby: Babies are the toughest little people to find sunglasses that fit and they are happy in. Previously, we haven't had a lot of luck with sunglasses on our babies, but the Explorer Baby were a different story! They are so light, flexible, versatile and easily adjustable. I love how the strap can be on or off, depending on what you or the baby prefers. Savy Baby loves wearing her sunglasses everywhere we go! Savy Toddler: This girl is all diva sometimes, so she was thrilled to try out her new Surf Toddler & Breeze Kid shades! Both pairs are really lightweight and super flexible. She may be a little diva, but she is also party WWE wrestler, I swear! She can seriously bend these shades all over the place and they don't break! It's nice because she can easily put them on or take them off without needing our help and if she drops them, no problem! The Surf Toddler ones fit her head perfect (she's 2.5 years) and the Breeze Kid are a little big, but she loves to where either pair! Savy Preschooler: Oh, my picky oldest kid. I swear since the day he was born, he has been telling me which accessories he likes/dislikes. He is my hat and sunglasses kid and I can't tell you how many pairs we have gone through that he just doesn't like. That's not the case with the Real Kids Shades! He was so excited to open and try on his Surf Kid and Bolt Youth shades! He loved the colors and styles. I admit, the Surf Kid ones aren't a style I would pick for him, but they are so super cute that they are my favorite ones! Both style are really lightweight and flexible just like Savy Toddler's and he can easily put them on or take them off. I don't have to worry about them breaking because they are so durable. 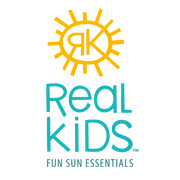 Overall, I really love the Real Kids Shades products! It's such a relief when you find a product that not only provides your kids with the protection they need, but they also love and can easily use themselves. That's a win - win in my book! I highly recommend you invest in these for your little ones. We are on a mission. Since 2002, Real Kids Shades (RKS) has made it our goal to protect as many kids’ eyes as possible from the damaging effects of UV radiation. We launched RKS when we searched and could not find an inexpensive pair of real sunglasses that would protect our kids’ eyes. The RKS promise is simple. Offer affordable, premium quality, 100% UV protective sunglasses designed specifically for kids, and manufacture them using the most durable materials available so they will last. Learn More: Visit the Real Kids Shades website to learn more about their products and start shopping today! Win! Enter below to win a pair of your choice from the RKS product line. Open to U.S./Canada. Giveaway ends on July 12th at 11:59pm CST. Good Luck! I like the Royal Sky... They look like little Ray Bans. My kids would love the Swag sunglasses. I love all the color combinations. My favorite pair is the Explorer Polarized Ages 2+ because I would love a pair of polarized sunglasses for my nephew. I'd probably choose the toddler size surf ones. Royal sky because my little one would look so cute in them! I like the Explorer - Kid - 4+ - P2 Polarized Lens for my son for the wrap around frame and they like they would be a good fit for my son. I like the surf - kid - 4+ in blue for my son. The frames would look great on my son and go with practically all of his clothes. I like the sky aqua either in kid or toddler size.